Looking good… At the moment, Walsall Local History Centre have copies. As soon as I find out who else does, I’ll post details up here. Image by Stuart Williams/Walsall Local History Centre. Here’s a treat for Brownhills folk into local history. A new local history book, focussing on Shire Oak and it’s environs has been written by Walsall Wood chap Clive Roberts. I know Clive reads the blog and often comments here, and is well respected by the Walsall Local History Centre and among local historians who speak very highly of him. I’m aware the book has been in gestation for some time now, as Clive has contacted me several times about it, and although I’ve yet to get my hands on a copy, it sounds like a really good read. As soon as I can procure one, I’ll review it here. We have just received the first stock of ‘SNIPPETS OF HISTORY In and around SHIRE OAK’, a NEW book by Clive L Roberts who is a regular visitor to our Centre. Packed full of fascinating quotes and snippets of history transcribed from old newspapers and other sources this should really interest anyone from the Shire Oak or wider Brownhills area. The book is 72pp paperback, ilustrated with photos and newscuttings. The price is £8 (postage extra). The current print run is a short one and we have just five copies at the time of posting this, so if you want one please pop in asap! As soon as I have more details, I’ll post them here; perhaps if the author himself is passing by, he could shed some light on availability and so forth? This entry was posted in Brownhills stuff, Environment, Events, Fun stuff to see and do, Local History, Local media, News, Reader enquiries, Shared media, Shared memories, Social Media, Spotted whilst browsing the web, Walsall community, Walsall Council, Walsall Wood stuff and tagged Book, Brownhills, Brownhills local history, Clive Roberts, Events, Facebook, Local History, New Photos, Old maps, pub, Pubs, Shire Oak, Snippets of Local History, Staffordshire, Stonnall, Stuart Williams, Things to do, Walsall Council, Walsall Local History Centre, Walsall Wood. Bookmark the permalink. R. DOWNES Brownhills Newsagent in the High st. This book is a limited print. Clive’s book makes fascinating reading….I am not going to give details…but , like Gerald Reece’s book, is the result of hours and hours of painstaking, thorough and detailed research. I congratulate Clive and thank him at the same time. Downes newsagents have a few in stock..I expect they will sell out in no time! 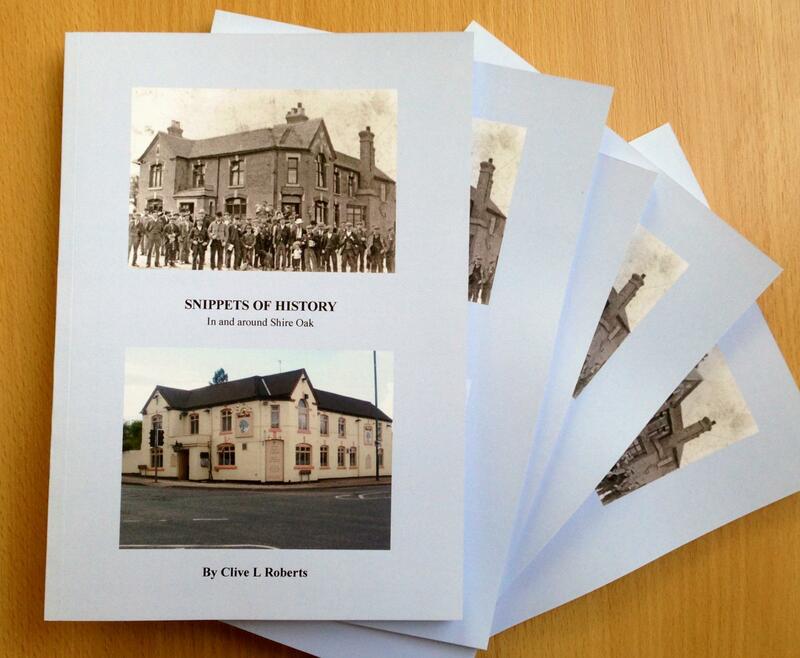 Snippets of history in and around Shire Oak; There are just 2 books on sale now, if anyone would like one there at the corner shop in Friezland Lane Brownhills.